Home / Health / Is It OK to Drink Juice? Let’s be real: drinking juice sends us more mixed signals than our ex-boyfriend. 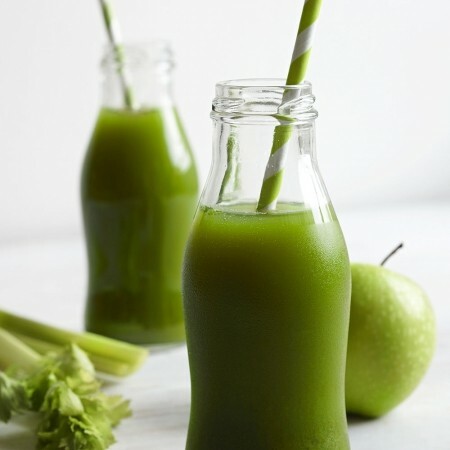 Some people say juice is unhealthy and packed full of sugar, but we’re also seeing juice bars pop up everywhere and read about celebs who are “juicing” for good health. So what’s the lowdown? One study found that drinking 100 percent fruit juice had a positive incidence of type 2 diabetes. It also found that fruit juice is not a healthy alternative to sugar-sweetened beverages, like sodas or other fruit juice-type drinks. Fruit juice is high in natural sugars that are part of fruits. While juice provides the nutrients, such as vitamins and minerals, found in fruits, it doesn’t offer the fiber. Fruit juice can be pretty tasty – so that’s a plus. And some types of fruit juice can have specific health benefits. For example, lemonade and limeade may reduce the incidence of kidney stones. Cranberry juice is also known for its benefits in preventing urinary tract infections. For those who have trouble fitting in enough vitamins in the day, fruit juice is at least a portable way to get in more nutrients. Is it OK to drink juice? Sure! Like any other foods, it should be consumed in moderation – anywhere from four to eight ounces. However, juice shouldn’t be your main source of fluid intake as water is still the best option. If you detest the taste of plain water, you can also try diluting fruit juice with water to cut back on the sugar intake, but retain its tasty flavor.